Sitting within a dual World Heritage Area, the snowy peaks of the legendary Mt Ruapehu, New Zealand’s most active volcano, is home to the longest ski season and largest ski areas in the country. The ski fields of Whakapapa and Turoa are ideal for school groups and offer world-class snow conditions all the way through to late October. Students will be spellbound by the incredible views as they explore both resorts’ diverse terrain. New Zealand’s North Island also offers a wide array of fascinating educational, cultural and adventure activities that are waiting to be explored. Featuring a summit of 2,322 metres, playful terrain and two dedicated beginners’ areas, Turoa is the ultimate snowsports playground. The ski field covers 500 hectares and is largely comprised of beginner and intermediate terrain. With an extensive lift network and daily 2-hour lessons from highly skilled snowsports instructors, students will maximise their time on the slopes and accelerate their skills. 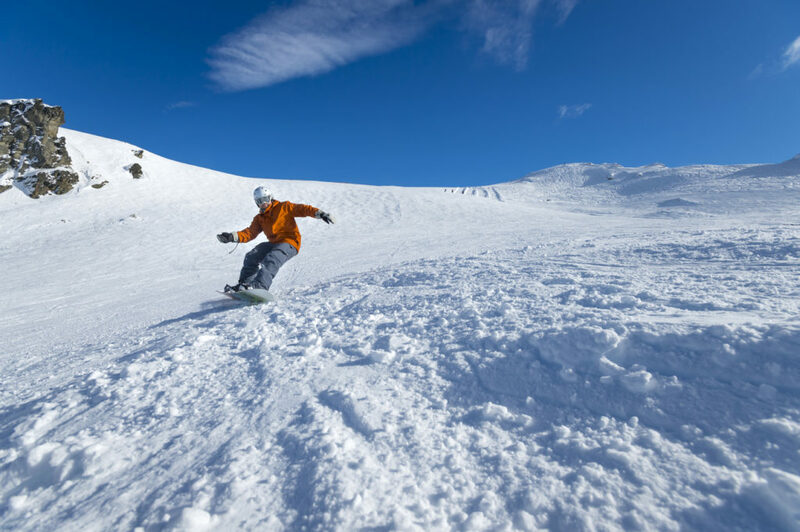 With its premier beginner’s area, Happy Valley, Whakapapa is one of New Zealand best locations to learn to ski or snowboard. Snowmaking facilities guarantee snow coverage and the group lessons are designed to build confidence and skills in a fun and social environment. For intermediate riders, Whakapapa offers a diverse range of interesting and challenging runs. Students can explore over 50 groomed trails of terrain to suit every level, from mellow slopes to epic chutes. With 550 hectares of lift-accessed and patrolled terrain, Whakapapa is the largest ski area in New Zealand. New Zealand’s North Island is ripe with adventure and cultural experiences that make for an unforgettable tour. Students will gain confidence, new perspectives and curriculum-linked learning outcomes through unforgettable activities. At Skyline Rotorua, students will take in the best views in Rotorua before gliding downhill through Redwood forests in a thrilling luge or zip-line ride. During the Tamaki Maori Village experience, students will learn about Maori culture, its proud warriors and ancient traditions as they experience rituals, performances and a traditional hangi feast. Hells Gate is where geography class comes to life. Here, students will get an up-close look at geothermal phenomenon such as boiling hot pools, steaming fumaroles, hot water lakes and sulphur crystals. The mighty Mt Ruapehu is a wonderful choice for snowsports programs in September and October. In addition to an extended season, this destination offers unbeatable scenery, fantastic facilities and instructors and world-class terrain at both resorts. Students will progress into confident riders and have the time of their lives at Mt Ruapehu. See our North Island Snowsports Tour here.